Completed in 1999, 5600m² lettable area, 245 parking bays, high security standards. This Office Park is a prestigious “A” Grade Commercial Office Park situated in suburban Randburg in close proximity to popular shopping centres such as Cresta, Hyde Park and Sandton. Since its phased completion in 1999, it has attracted quality tenants and has consistently commanded the highest rentals in Randburg. The Office Park has attracted stable tenants with a long-term view with respect to tenancy and although the maximum lease term in the office park is five years, several tenants have opted to extend their leases. This company has eight individual shareholders of which three are Architects, two Quantity Surveyors and one Structural Engineer. 5638m², spread over 5 individual 2-storey buildings with basement parking. The current, market related gross rental achievable in the Office Park is between R55 and R59/m², depending on the size of tenant, length of lease etc. These rentals are generally subject to 10% - 12% escalation per annum. 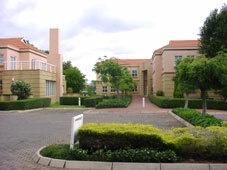 As mentioned above, this Office Park has consistently attracted high quality, stable tenants. The Office Park is privately owned by the eight individual shareholders and, further, is privately managed and maintained by the construction professionals.